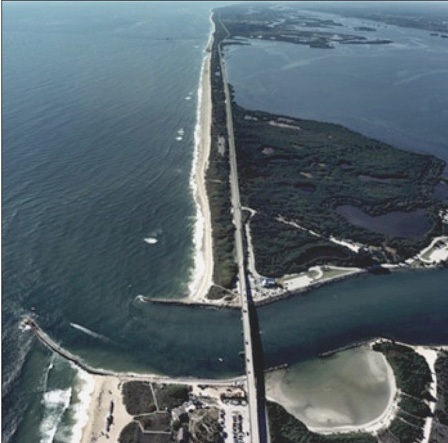 Summary: Ms. Erickson was responsible for the formulation of a financing plan in restoration of five beach segments (8.3 miles) along Indian River County’s critically eroding Atlantic Ocean beaches. Ms. Erickson served as the Project Director of the Beach Restoration Project’s for construction along Beach Sectors 1 and 7. Analyses of the economic benefits associated with storm and land loss prevention and recreational benefits were performed by the project team to determine the total project-related benefits. A project cost allocation plan was developed in accordance with benefits received by each sector of the community. A recommended financing plan was submitted with cost apportionment and a funding source allocation plan. Construction of the first beach nourishment segment was completed in April 2003. This segment, extending 2.5 miles of shoreline, was nourished with 536,000 cubic yards of sand placement and included a restored/vegetated dune feature.